The Salon Pure Air Chemical Fume Extraction System for Hair (Model SPA-H) is appropriate for stylists who prefer the 16″ diameter hood to be positioned above the client’s head. It is designed to adsorb and remove formaldehyde, glutaraldehyde, or other vapors generated by the various Keratin Smoothing Treatments. This Deluxe System is designed for heavy fume removal applications. 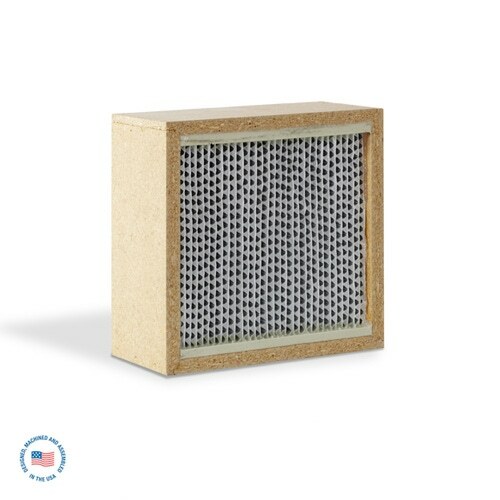 It includes a patented air filtration media specifically designed to oxidize gaseous pollutants, including, but not limited to, hydrogen sulfide, sulfur dioxide, formaldehyde, glutaraldehyde, ethylene, and mercaptans. Also included is our extended reach self-supporting arm for true overhead positioning, along with an expanded diameter hood. In addition, the Salon Pure Air Model SPA-H lowers exposure to a variety of other harmful chemicals generated by additional processes such as coloring, highlighting and permanent treatments.